In order to see what something is, I believe we need to see what something isn’t. My room was all a twitter as we continued to work on subplot, and I think it was the nature of the activity that kept them so engaged. I was frustrated prior to class, as I was trying to find another example of a picture book with a subplot. The problem, I’m noticing, with picture books is that subplots are extremely hard to come by. The texts are generally so brief that there is not enough space for a subplot. In order to truly experience one of these, it is necessary to read a longer text–something more like a novel. Although, the prior day’s example of Voices in the Park is one of the rare cases where you can find such plots and varying perspectives intertwined, and even that story is not a great example of subplot in a story. 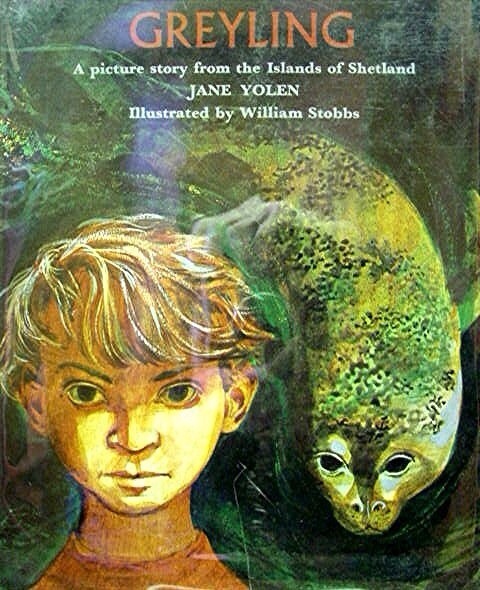 I had been wanting to read Greyling by Jane Yolen with the kids, a great legend about a selchie, or sea lion, that turns into a boy when on land. It has an excellent plot, interesting characters, and wonderfully traditional word choice, something which many modern children’s books seem to have lost. I pored over more resources, begging the bookshelves for just one picture book with a subplot, but with every book I read, I found myself empty-handed, despite the fact that I was becoming much better versed in the fantastical abyss that is children’s literature. So then I thought, why not give them a story without a subplot? Perhaps having to analyze a story, determine the plot structure, and then decide whether or not there was, indeed, a subplot would be rigorous enough a task to get them thinking, while still solidifying their understanding of what a subplot truly is. So that’s what I did. And I’m so glad I did it. The kids began to discuss the narrator and his/her role in developing a subplot. The kids almost mentioned minor characters and speculated about the backstory of the main characters. While many of them, when we began thought these signaled a subplot, it helped me not only gauge my class’s understanding of the concept, but it also allowed them to flush out misconceptions and have their thoughts probed further by peers and myself. By the end of the class period, over 90% of my class had decided that there was no subplot in Greyling, mostly due to the fact that the whole story was about this seal turned man, and how he saved his adoptive father from a storm. His character, and all the main characters for that matter, were critical to the main plot. But this opportunity also allowed us to speculate–which proved to be very powerful. We were able to ask the question: What might this story be like if there was a subplot? This, once again, further enhanced their understanding of the target, because it asked them to conjure up an underlying storyline to accompany the main one. It turned out that providing a non-example was just as powerful, if not more than, providing an actual example. And isn’t that true for everything in life?